Situated just Northeast of the trendy city of Austin, Round Rock, Texas is a large and energetic suburb of the state capital. 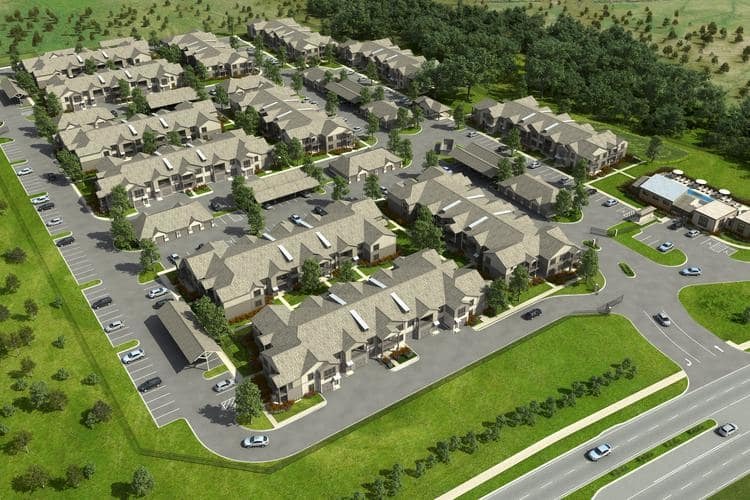 Picturesque farmland, beautiful parks, and relaxing reservoirs surround our luxury community. In addition to the scenery, Round Rock provides all the amenities you need right here in the neighborhood. Our community is close to several local grocery stores, including Sprouts Farmers Market, Natural Grocers, and La Mexicana Market. If you prefer a night out, try the Filipino cuisine at Little Mama’s. For a celebratory occasion, treat yourself to the fine fresh seafood at Salt Traders Coastal Cooking. Round Rock, Texas, is also home to some of the area’s best landmarks, schools, and employers. We’re conveniently located near I-35, so it’s easy to visit the Austin Aquarium and Round Rock Premium Outlets. Plus, we boast short drives to Austin Community College and Southwestern University, as well as Apple, Dell, and IBM. To see our vibrant neighborhood for yourself, contact Springs at Round Rock to set up your personalized tour of our apartments for rent in Round Rock, Texas.